First things off – a little about me and Revlon foundations: I definitelt not a fan of the famous Revlon Colorstay liquid foundation but the newer Colorstay Whipped is my favorite drugstore foundation. Back to Nearly Naked: From what I’ve gathered, this probably is a repackaged version of a now-discontinued Almay Nearly Naked Makeup (Revlon owns Almay). So it looks like they’ve taken a product from Almay and rebranded it with the Urban Decay Naked font - tricky tricky! Revlon Claims: The display said it’s “unbelievably light” and “undetectable.” I would say this foundation definitely is that. It is so so light, tinted moisturizer light. For me, it’ll be perfect for weekends or days when I can’t be bothered (to borrow a Britishism). 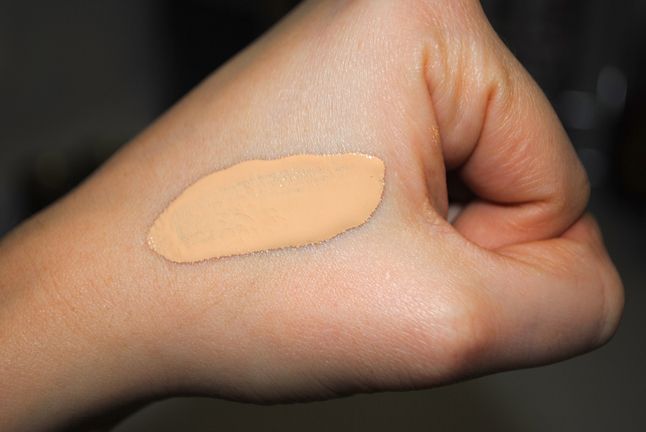 Shade: 120 Vanilla.This is definitely my winter shade, I will need to go up a shade in the summer. I believe it comes in 14 shades. Application: I applied it with a Real Techniques buffing brush and the combo worked great. I could also see this working great with my Beauty Blender or even my hands. 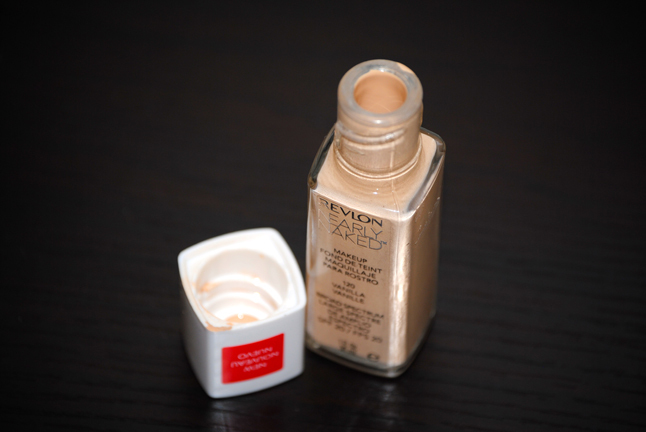 Feel on Skin: It did feel pretty hydrating…but maybe because it’s the liquidiest foundation I’ve ever used? 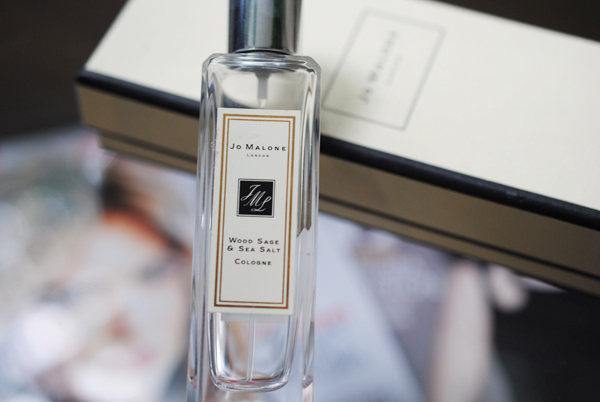 BE CAREFUL when pouring the product out of the bottle, half the product could spill out! Coverage: Healthy, natural light coverage, similar to Neutrogena Healthy Skin and Maybelline FitMe. Last Factor: It lasted all day on me except for on my chin – much longer than Maybelline FitMe, which had been my go-to light foundation. However, I did wear a primer and a tad bit of powder on my T-zone like I do with all foundations so keep that in mind. It's an iPhone pic, but you can see my freckles, which gives you an idea of the coverage. Update: Emily from Beauty Broadcast, one of my favorite YouTube beauty gurus, recently did a review on this. She raved about the powder, so I will be picking that up!